Reggae artiste Ruffi-Ann made a lasting impression on the Jamaican music industry when she released the Max Romeo produced single 'Save the Juveniles' in 2009. 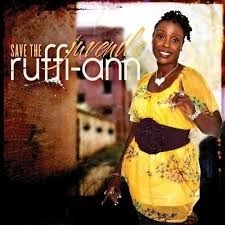 Recently, a very proud Ruffi-Ann launched her Dean Fraser produced debut album of the same name "Save the Juveniles" at Jungle Fyah Lounge in Portmore, St. Catherine. who performed two old favourites, Power Fall On I and Tribal War as well as Junior Heptones, the son of the late Barry Heptones who did a medley of tracks including 'Buy You a Flower' and 'Book of Rose' and Thriller U who closed the segment.